A wedding is a very special occasion. It’s the beginning of a new phase in life, a journey that will lead to years of joy. It is only natural that every bride in the world wants to have a perfect wedding. Most of all, a bride wants an event that she has been dreaming about since childhood. While there are many places in the world where couples can choose to tie the knot, there cannot be a more beautiful place to do so than the Bahamas. Islands have always been a favorite destination for getting married simply because of their natural beauty. The natural beauty of our islands is part of the reason why the Bahamas is such a popular wedding destination. The Islands of the Bahamas boast 700 islands and cays. Thirty of these islands and cays are inhabited. Nassau is the Capital. There are three areas that comprise Nassau … the city, Cable Beach and Paradise Island. 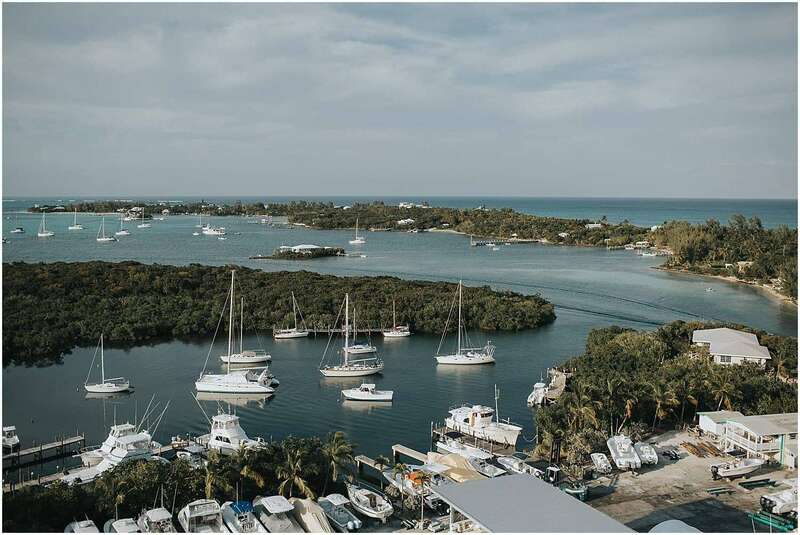 The Abacos – Marsh Harbour, the main area in the Abacos, is located only a few miles from the airport. It’s 25 miles from Treasure Cay. The island has charming cays and beautiful beaches that do not get very crowded. Because of this, it is preferred by many couples.There are several activities that are offered by the destination wedding resorts on the island and many water sports activities. Boating is big in the Abacos. It is also a perfect place for a honeymoon. 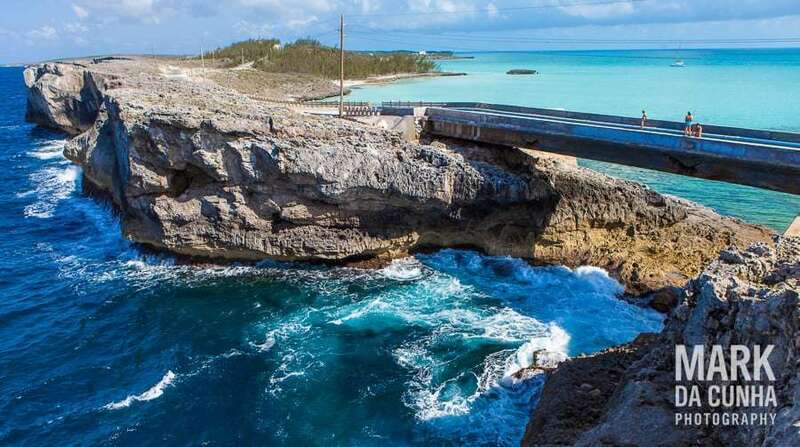 Eleuthera Island- The Eleuthera Island in the Bahamas is only a few miles away from Nassau. Furthermore, commuter flights operate throughout the day from Nassau. The island is quite popular with vacationers and honeymooners from all around the world. It offers many facilities and activities to choose from. The resorts on the island offer wedding packages along with many other amenities that make planning a wedding easier. Nassau – Nassau is of course without a doubt one of the most popular places in the Bahamas. And, there are many options to choose from in the Nassau in terms of wedding locations which is an added benefit. Most amenities and facilities are available on the island that couples can benefit from. Like everywhere else in the Bahamas, there are beautiful white sandy beaches. Clear water in stunning shades of blue makes this the perfect backdrop for a perfect wedding. Most noteworthy are Nassau’s historical sites. Grand Bahama – Grand Bahama is nature island. Many facilities including a casino for those who are looking for a little more action. Furthermore, the island’s laid back style and is perfect for those who want a relaxed wedding weekend. Exumas –The Exumas are renowned for pristine beaches and gorgeous shades of blue waters. We particularly like beaches in Little Exuma where you may be married on a public but private No Name Beach. Cays in the near distance make picturesque backdrops for your Bahamas wedding pictures. Most of all, while Exuma is noted for its Swimming Pigs excursions, national parks abound here, too. The Rose Island – Rose Island, located just off Paradise Island, offers a lot of privacy and remoteness from the holiday crowds. Because of this, it’s one of the most intimate places to get married in the Bahamas. Spanish Wells – Finally, Spanish Wells Bahamas is situated five minutes by boat from North Eleuthera. Here you find rows upon rows of dainty and well-kept cottages lining the beach. Wooden cottages and vacation homes painted brightly welcome visitors of the island. Flower gardens dot terraces and roads while patches of bougainvillea and coconut trees serve as a backdrop for the island’s clear waters and azure skies. Like everywhere else in the Bahamas, beautiful white sandy beaches and clear water make the perfect backdrop for a perfect wedding. Because Bahamas wedding locations offer scenic beauty, privacy and lots of variety, it makes it easier to plan that perfect wedding. 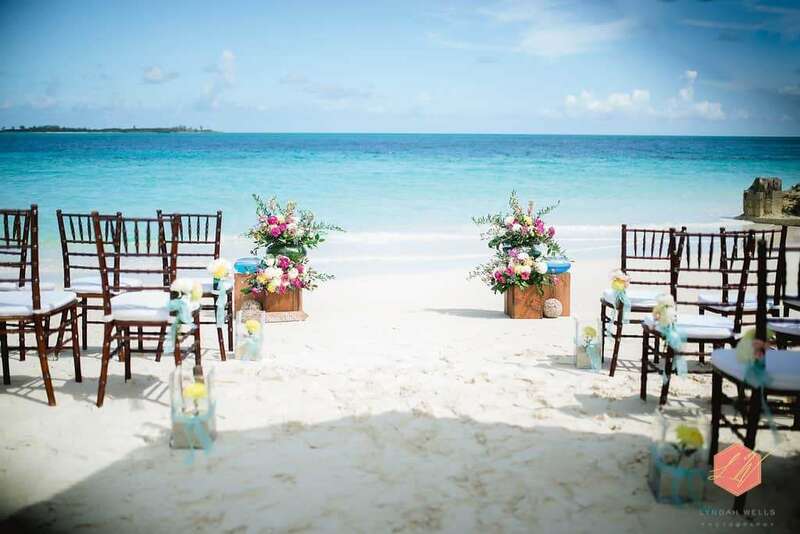 Contact us today to get married in the Bahamas.